I love me some home grown courgettes ( or depending on where you are in the world.. "zucchini" ). My lovely friend Jess gave me a few courgettes from her garden and instantly thought about this recipe. There's something about home grown vege which seems so hardworking, virtuous and pure! I'm always in awe of people who manage to successfully harvest their garden's. I just seem to just feed the relentless slug party. One day, I too will conquer this skill. One day. We took the kids up to Norfolk to stay with my most awesome mother-in-law Ruth. ( I'm not lying, my mother-in-law is actually awesome. ha! ) They live in a country house in a sweet sleepy village. They are also masters at growing their own fruit and vegetables, and live a wonderfully stress-free life surrounded by rapeseed fields and beef farms. I instantly relax when I'm there. It's heaven. My mother in-law also has an uber-well-equipped new kitchen and I had to put these Hampton-grown courgettes to damn good use. 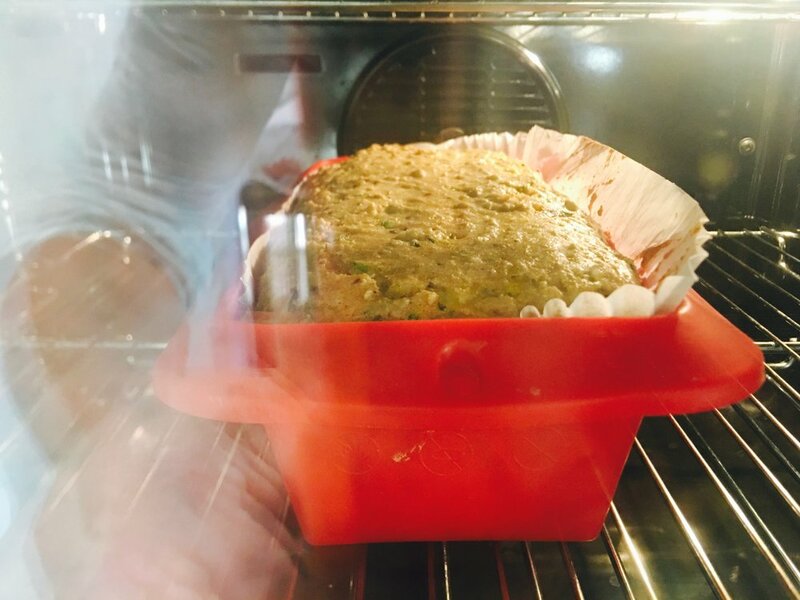 Baking is 1000% more fun when you have all the gear at your finger tips. I've been eyeing up a recipe by Dr. Axe for ages and I finally nailed it while in Norfolk, but with my own small spin. This is an 'anytime-of-the-day' type loaf. I may be guilt of eating this for breakfast, lunch and dinner.. and dessert. It's that good. Recipe: serves 8 ( 8 decent slices ). Takes about 60mins all in. Line a loaf pan with parchment paper and set aside. I love the rubber molds. Genius! Line a large bowl with muslin cloth, allowing cloth to fall over the sides. Grate courgette into the bowl containing the cloth. 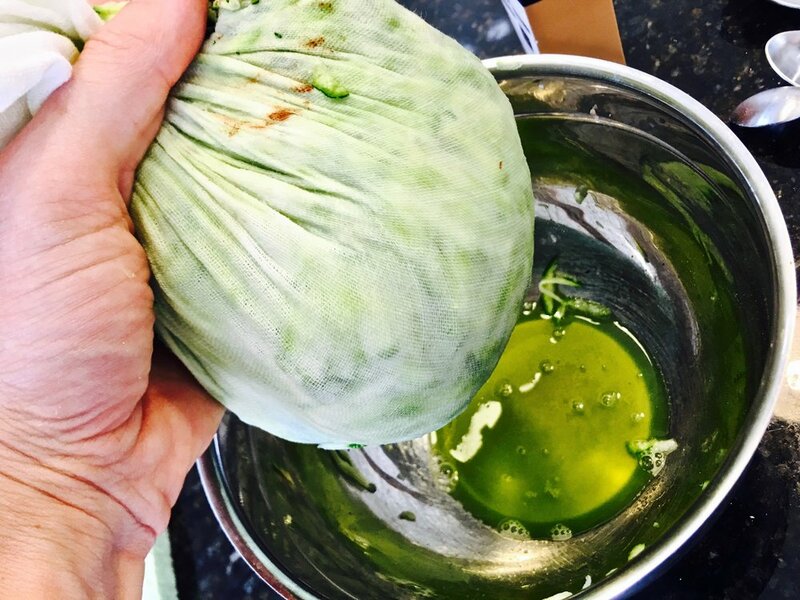 Wrap courgette in cloth and squeeze any excess water out into the bowl. Add the first five ingredients in large bowl. Whisk until well incorporated and set aside. Whisk the last seven ingredients until well combined and then add the wet ingredients to the dry, mixing evenly. 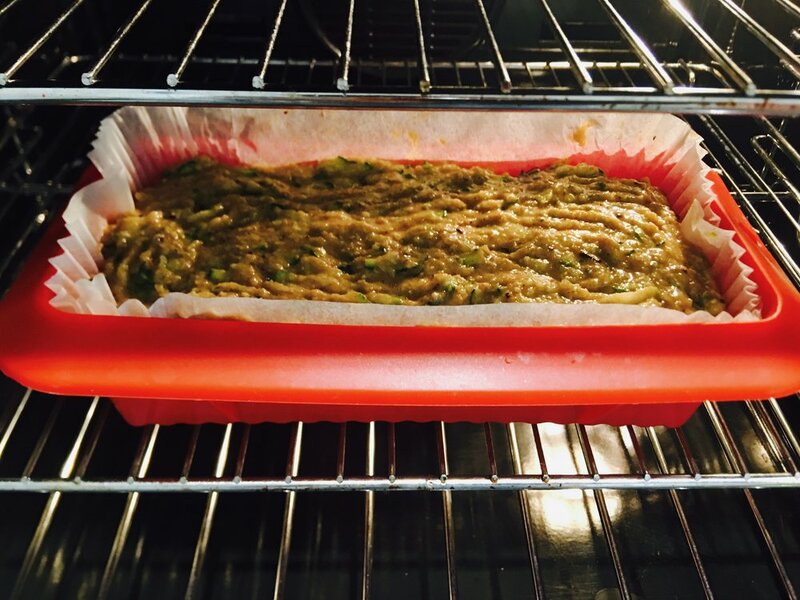 Pour mixture into loaf pan ( my mother in-law had a silicone loaf mould, bloody brilliant! ) and bake for 35-45 minutes or until cooked through and golden brown. Let stand for 10 minutes before serving. But I also love eating it hot as the chocolate oozes. Serve on it's own or with a big dollop of plain yogurt. OMFG it's yummy! Tell me what you think? I'd love to hear if you made this and how it turned out!